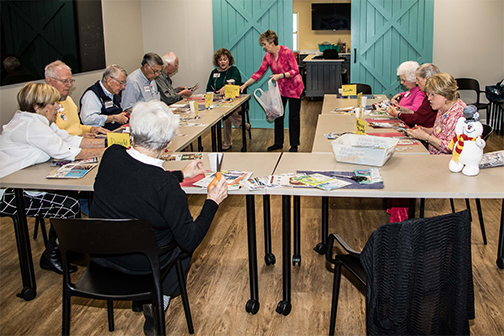 First Pres proudly hosts Rhodes Respite Care, a faith-based activity program for adults with early-to moderate memory impairment due to Alzheimer’s disease or related dementia. Our ongoing mission is to meet the social, spiritual, physical and emotional needs of adults with dementia. This ministry provides a well-deserved break, or respite, to those who bear care-giving responsibility. They entrust their family member to our experts’ care, knowing they will be safe in a loving atmosphere. The respite program meets from 10:00am–1:45pm on Tuesdays and Thursdays.